1993. 3. Graduated from the Faculty of Engineering, Osaka University. 1995. 3. M.E. degree from the Faculty of Engineering, Osaka University. 1998. 3. Ph.D. degree from the Faculty of Engineering, Osaka University. 1998. 4. Research Associate at the Faculty of Engineering, the University of Tokushima. 2003. 12. 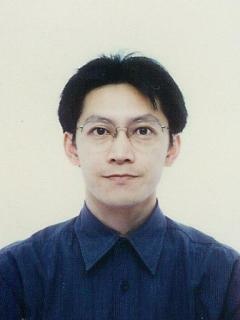 Lecturer at the Faculty of Engineering the University of Tokushima. 2005. 6. Associate Professor at the Faculty of Engineering the University of Tokushima. (->About construction) --- EDB Working Group <edb-admin (at) web (dot) db (dot) tokushima-u (dot) ac (dot) jp> at 2019-04-25 15:15:12.